I loved The A-Team as a kid (who didn’t?) and once I heard there would be a remake I’ve been dreading this movie. I mean, on one side I thought it was awesome that they were bringing it back, on the other side it wouldn’t be MY A-Team, it just couldn’t be the same, right? So now that I finally got to see it, what did I think? For those of you that have been hiding under a rock the past 25 years or have recently developed amnesia, The A-Team is a remake of the TV series of the same name about a group of ex-Special Forces imprisoned for a crime they didn’t commit. Liam Neeson stars as the leader and brains behind the team, Colonel John “Hannibal” Smith; Bradley Cooper as Templeton “Faceman” Peck, a smooth talking ladies man; Sharlto Copley as H.M. “Howling Mad” Murdock, an insane pilot; and Quinton Jackson as Bosco B.A. Baracus. 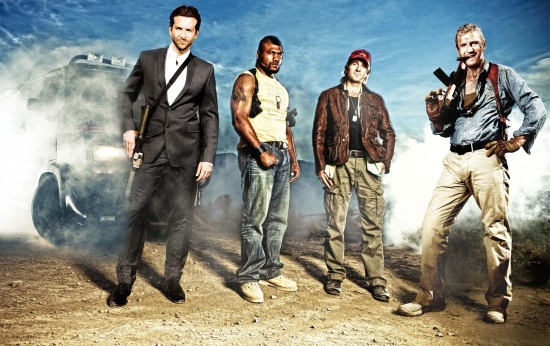 The original TV show was set 10 years after the A-Team’s allegedly committed crime, with the team being on the run from the military and hiring out their services to people in need. This movie acts much more as an origin story. It opens with how the team got together 10 years ago, providing some nice background history (like why BA is scared of flying). Then it jumps to the present day setting up the whole “crime they didn’t commit” story. And it’s because of that origin story that I think this movie works. It’s a great way to give these characters a new slate and create them from scratch. Kind of. I mean, each character has still the same traits from the TV show, but by giving them an alternative background story they’ve managed to bring it into the current day. And we get to see the reason why the A-Team eventually goes on the run and turn into mercenaries. I enjoyed The A-Team much more than I expected to. It’s a summer action flick with loud explosions and unbelievable stunts, but it’s fun. 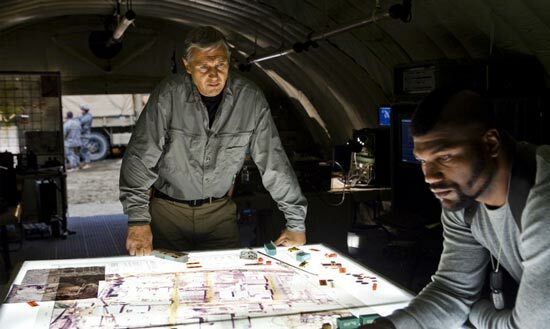 This isn’t MY A-Team, but it’s not a complete disgrace to the old show as I was dreading. It captures the spirit of the original show and multiplies the over-the-topness somewhat. Liam Neeson as Hannibal still doesn’t really work for me. He’s believable as the team’s leader and master planner behind their mission, but somehow I still think they could have found a better Hannibal (for the life of me I couldn’t imagine who though, and this is one tricky bit of casting). After finally having seen District 9 (AWESOME movie btw), I was looking forward to see how Sharlto Copley would be as Murdock. Murdock has always been my favourite character and up until the casting was announced I didn’t believe anybody could succeed Dwight Schultz. Copley though is perfect as Murdock, bringing a convincing craziness and levity to the character, and my favourite moments in the movie all come from him. Bradley Cooper is great as Face, although in my mind he’ll always be Will from Alias. I never thought he’d ever be an action hero type, but he pulls it off great. He doesn’t get to show his con man skills as much as I liked and if we get a sequel I hope we get to see more of that. Quinton Jackson as BA is a as-good-as-you-can-find fit. It’s hard to step into the footprints of Mr T, but he does an okay job. As I said above the action is a bit over the top. There’s one scene with a tank which is completely ridiculous and shouldn’t work at all, but still a lot of fun (even though a bit too blue screeny for my liking). I liked the heist like sequences where the action scenes were intertwined with flashbacks explaining “the plan”.